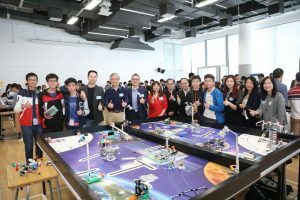 2018/19 Hong Kong FLL Robotics Tournament was successfully on 16-17 February 2019 at Hong Kong Design Institute (HKDI) & Hong Kong Institute of Vocational Education (LWL). In its 14th series, the theme of FLL was “Into Orbit”. 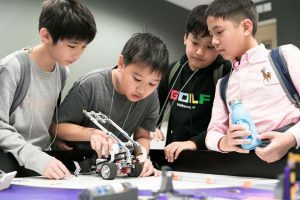 In order to complete various table-top missions related to the theme, all teams were required to design and build various robots by their creativity. 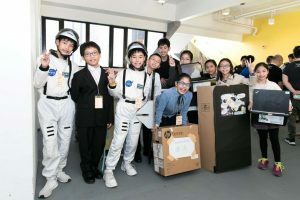 In addition, participants had to choose a topic that they were passionate about to conduct a research, which investigate and identify a human physical or social problem faced during long duration space exploration within our Sun’s solar system. Posters were also designed to share their research idea with others. After the vigorous competitions amongst schools and organizations, Carmel Secondary School and Tai Po Old Market Public School (Plover Cove) won the Champion’s Award (1st place) in the Secondary Division and Primary Division respectively. 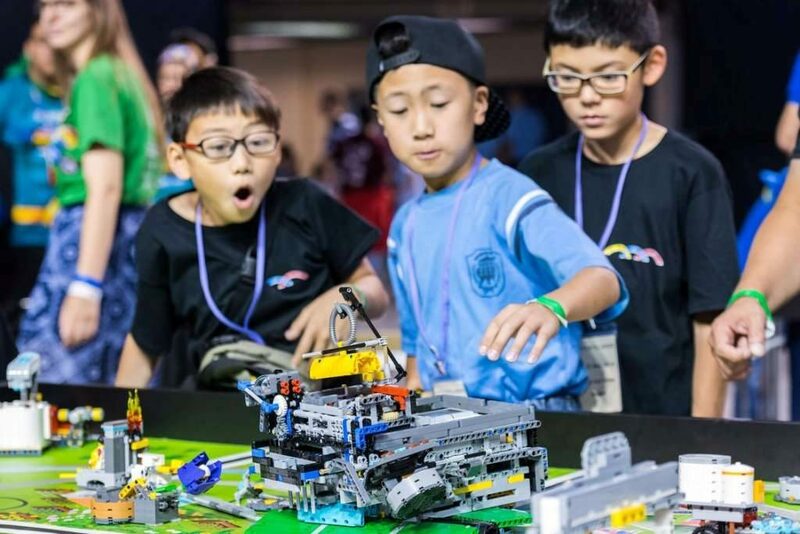 Winning Teams will represent Hong Kong to attend the FLL World Festival in US and other international FLL Tournaments. We congratulate teams who have won awards in the Tournament. Meanwhile, we much appreciate ALL of your effort and wish you have FUN in the Tournament! See you all in 2020! *Please fill in the Online Questionnaires: https://goo.gl/sWBYvg, on or before 8 March, 2019. After receiving the questionnaires, e-certificates as well as the feedback from Judges will be sent to Teams. This is a school-based inter-team competition that registration will be processed on a first-come-first-served basis. Each team comprises 5 to 10 students and 1 to 2 coaches. 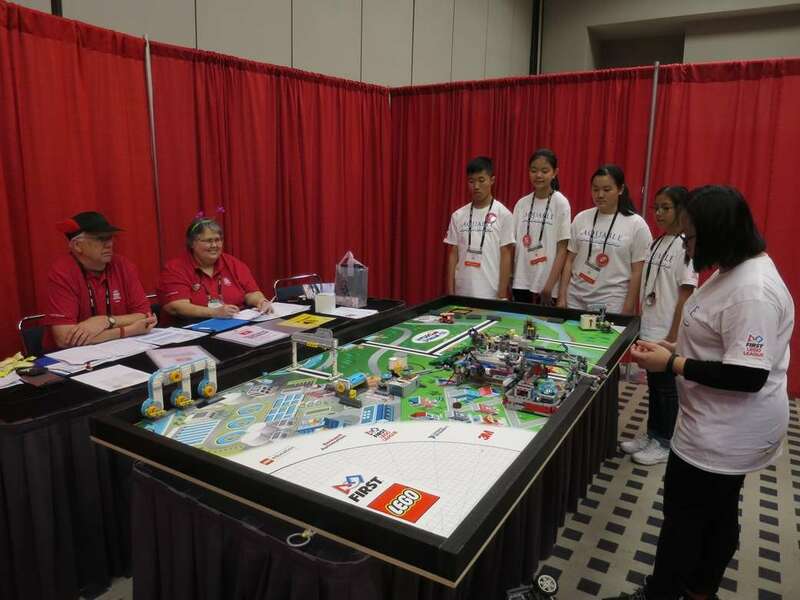 Teams are required to use LEGO MINDSTORMS® kit to construct and program their robots to complete as many missions as possible on a table-top playing field within 2.5 minutes. 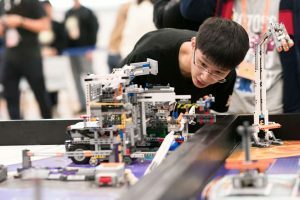 Teams are required to introduce their robot engineering, software programmes and strategies on the field, as well as answer the questions by the Judging Panel on their robot design. Teams are required to do research project according to the theme of the year and give a presentation on the research in various format, including the reasons of choosing the research topic, the solutions of the real-world problem, and how the idea be shared with others, in front of the Judging Panel. Teams could also design and show a research poster to other teams for academic exchange. Teams are required to complete a spontaneous task, and share their experience on their teamwork with the Judging Panel, in order to show the Core Value of FLL, including the sense of involvement, Gracious Professionalism® and Coopertition®. 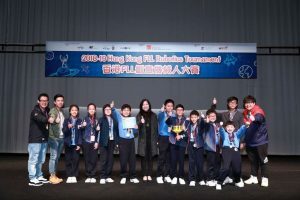 The winning teams may get the opportunity to represent Hong Kong to join the overseas tournaments competing and interflowing with teams around the world. 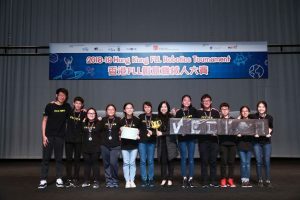 In order to let more people to learn the Core Value of FLL* and its positive impact on teenagers, HKFYG launches an additional programme - FLL Video Competition. All youths in Hong Kong are welcomed to join! ➢ All contents in the video, including pictures and music, must be original or royalty-free. The participant(s) or school(s) should bear the legal responsibilities of the copyright of the video. Organizer is not required to bear the responsibilities mentioned above. 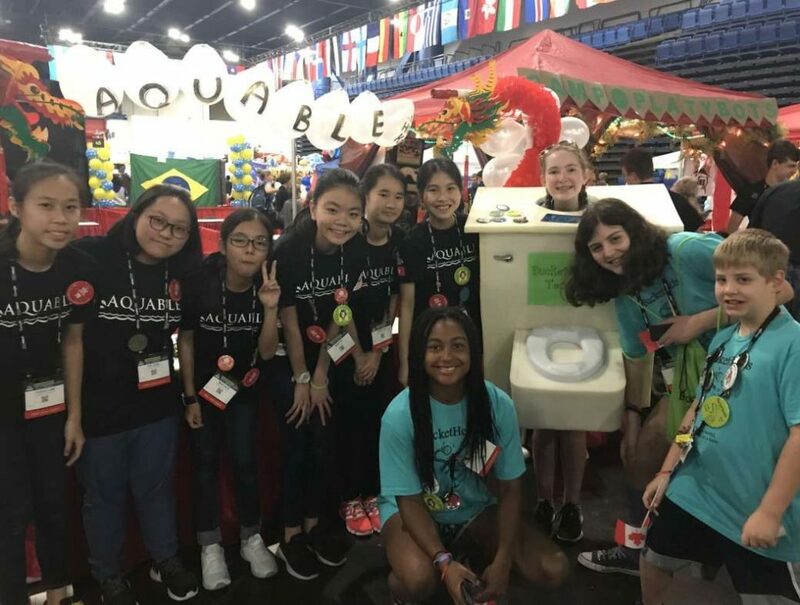 Carmel Secondary School had represented Hong Kong to join the FLL World Festival World Festival, which was held in Houston, USA in 16-23 April, 2018, competing with more than 100 teams from various countries and regions around the world! Apart from interflowing robot buildings, programming, research projects and presentation skills with other teams, the team had a great time for cultural exchanges from one another. Tai Po Old Market Public School (Plover Cove) had represented Hong Kong to join the FLL Open Invitational Central Europe (OICE), which was held in Debrecen, Hungary in 13-22 May 2018, competing with more than 100 teams from various countries and regions around the world! Congratulation to Tai Po Old Market Public School (Plover Cove)! Owing to their in-depth research related of the theme - Hydrodynamics, they won the “Research Award” among competitors.